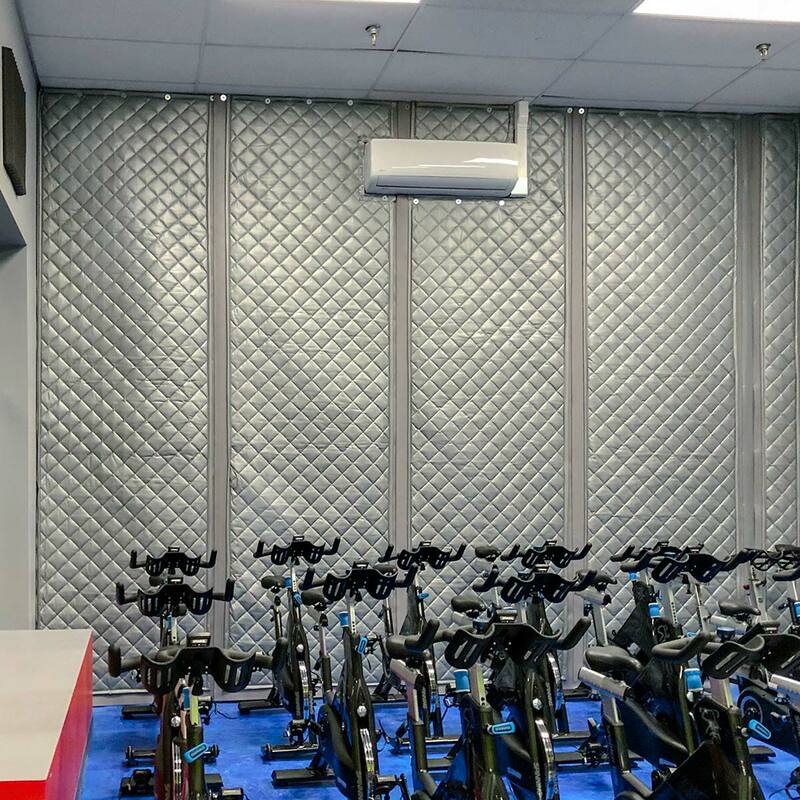 MAC Fitness was forced to cancel their spin classes until they could find a way to reduce the sound that was transmitting into the neighboring retail space. The existing wall that separates the two spaces was insufficient in blocking the sound generated during classes. They needed a quick solution without having to reconstruct the wall. MAC Fitness occupies one section of a multi unit retail space in Kingston, NY. 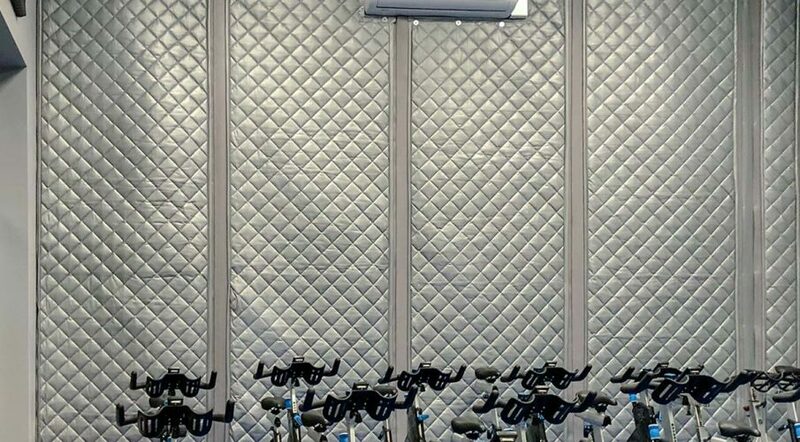 Their spin cycle class is in a room with a shared common wall with the neighboring tenant. The current construction of the wall was allowing sound to pass into the retail space on the other side. 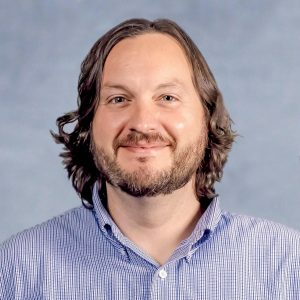 The sound from the bikes during class was so loud, it was causing complaints from the neighboring business and their customers. Out of respect for their neighbor, MAC Fitness was cancelling spin classes until a proper solution could be put in place. Not being able offer spin classes negatively impacts their business. Members cannot take advantage of these classes and the space is completely useless. 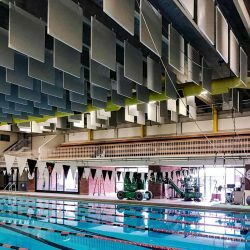 MAC Fitness needed a product offering quick installation, minimum construction and maximum sound control. 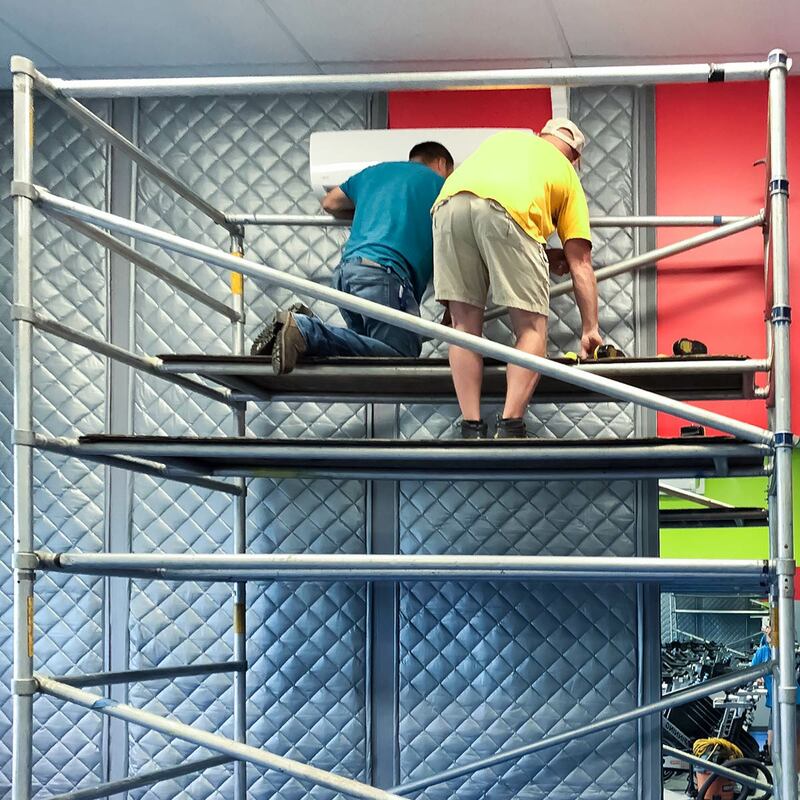 In most cases, building a soundproof wall with sound barrier, resilient clips and multiple layers of drywall is the way to go. However, finishing this job quickly was the primary goal. They also wanted a treatment that didn’t require a contractor. After looking over the space and discussing the available options, it became very clear what we should recommend. 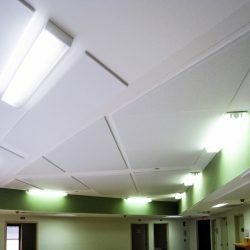 The ABBC-13 AudioSeal® Combination Sound Blankets are effective, attractive, budget friendly and easy to install. Even better, you can order them in just about any size. 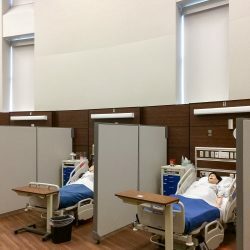 These sound barrier blankets use a unique system that combines a mass loaded vinyl backing with fiberglass absorption. 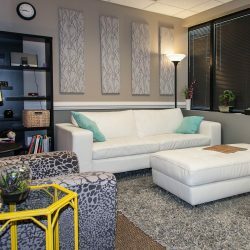 This provides outstanding sound blocking and absorption to reduce echo within the space. The quilted pattern and industrial color offer a modern vibe. Made to order, they are ready to hang as soon as they arrive. Simply install using the existing grommets and seal the vertical edges together with Velcro. Additionally, we are often able to offer expedites on the production time. 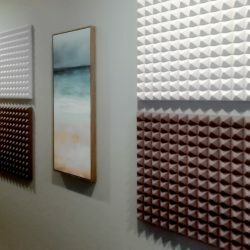 For this application, the sound blankets cover the whole wall. 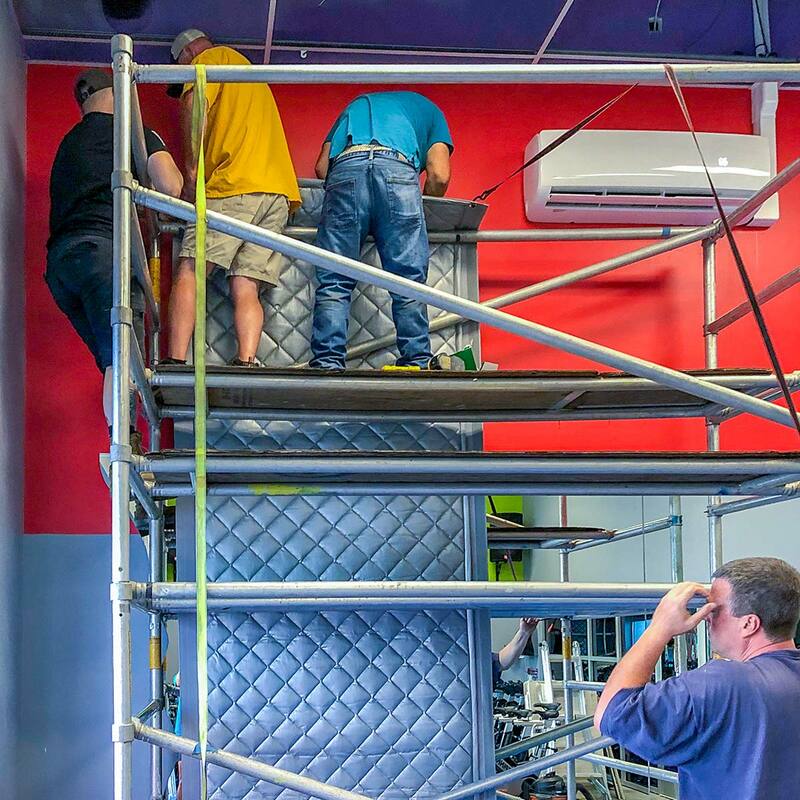 The Plan for Mac Fitness was to cover the shared wall space with the ABBC-13 and to complete the install in only one night! Installing the sound blocking blankets with minimal down time was a big hit. This allowed Mac Fitness to proceed with business as usual. The owners, staff and customers of MAC Fitness and their neighbors couldn’t be happier! 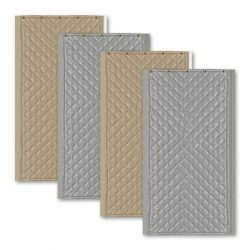 Our ABBC-13 AudioSeal® Combination Sound Blankets are the perfect sound solution.